Launch the .exe file you just downloaded. On some Windows systems, the launcher script does not find where Java is installed. If you encounter this problem, you need to set an environment variable indicating the correct location. You'll need the Java JDK, so might as well grab it now. Either the 64 or 32 bit Windows download, depending on your system. Make sure you keep all the default settings for stuff you are installing so Android Studio knows where to find it. Here is some foreshadowing of the one tricky screen you might run into during Android Studio setup. After running the JDK exe, let's get this party start and install the Android Studio exe you downloaded. It's probably pretty massive, almost a GB. One of the first screens you see is just the beginning of the wizards. The image below is the only screen that might give you trouble if you didn't set the JAVA_HOME variable in the beginning. View the Error, then push back, then push Next and Next again and it will work. And that's just a wonderful little taste of what is in store for you as an Android developer... a sous-ant, if you will. 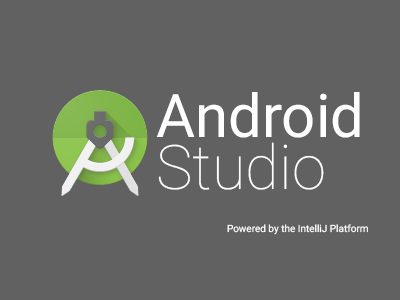 Android Studio startup screen, this is good! 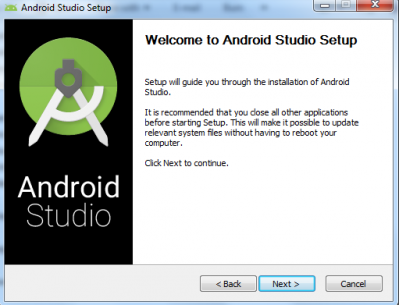 Android Studio needs to do A LOT of stuff when it's starting up so just be patient!